Which makes them so precious. I am sure many of you knew Virgil Rude. His parents were Alfred and Viola Bjornseth Rude. They live on the south side of Highway #43, several miles east of Lake Metigoshe. The Stokes’, Rude’s and Oscar and Sylvia Bergan were like family in my growing up days. We did many things together. Salem Church was the common bond. The last time I saw Virgil and his younger brother Allen too, was in 2013 in Bottineau. I hadn’t seen Allen since about 1965. It was so nice seeing both of them. Virgil used to call me periodically here In the Philippines too. The last time he called was to let me know that his cousin Glen Rude had passed away. He will be missed. Virgil Allen Rude, 83, Minot, died Wednesday, January 09, 2019, in a Minot nursing home. Virgil was born July 29, 1935 in Bottineau, ND to Alfred and Viola (Bjornseth) Rude. He was baptized and confirmed at Salem Lutheran Church, rural Bottineau and attended Loon Lake #15 rural school near Lake Metigoshe in Bottineau County. He graduated from Bottineau High School in 1953. Virgil’s teaching career began at the Hilton #10 rural school. He earned his standard teaching certificate in 1956 from Minot State University. 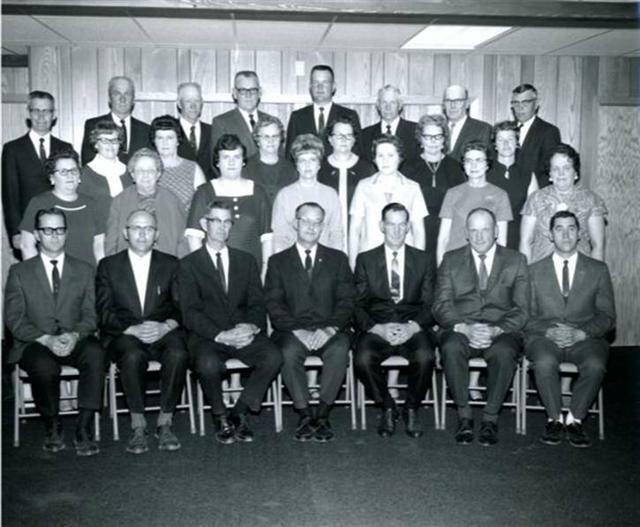 Virgil was united in marriage to Geraldeen Haga from Bergen, ND on August 18, 1957 in Velva. He spent two years teaching in Ray Public Schools. 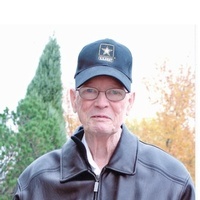 Virgil earned his Bachelor of Science Degree from Minot State University in 1959 and completed his Master’s Degree in 1967 at the University Of North Dakota in Grand Forks. He taught at Bel Air Elementary School in Minot for several years before serving as the Elementary School Director for Minot Public Schools from 1970-1995 when he retired. He continued with Minot State University as Supervisor of Student Teachers and worked in this capacity from 1998-2005. Virgil’s military career began in 1954. He attended Officer Candidate School in 1957 and graduated from Engineer Officer School in Ft. Belvoir, VA on July 28, 1961. He was called to active duty on September 21, 1961. He was promoted to 1st Lieutenant in 1961 and later to Captain in 1965. He graduated from the Engineer Advance Course in 1971 and was promoted to Major in 1972. He graduated with honors from the US Army Command and General Staff College. He was promoted to Lt. Colonel in 1978 and Colonel in 1984. He received the Army Commendation Medal in 1976, the Meritorious Service Medal in 1983, Meritorious Service Medal with First Leaf Cluster in 1984 and Legion Merit Medal in 1986. He was honorably discharged in 1985. Following his discharge, he worked with the Employer Support of the Guard and Reserve (ESGR) as a liaison between employers and returning members of the military rejoining the workforce. 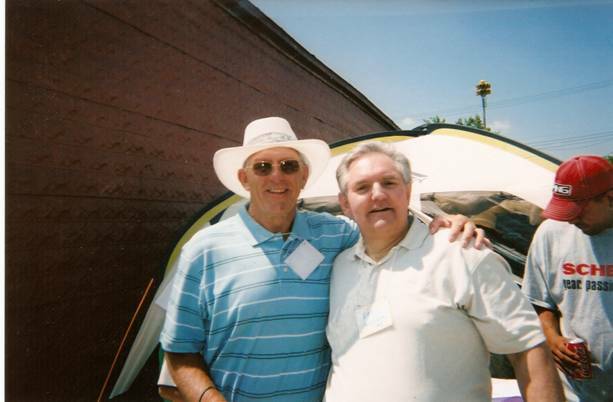 Virgil was active with many organizations, some of which included: Phi Delta Kappa, Sons of Norway, Metigoshe Ministries Board, Minot Lions Club, Scandinavian Heritage Association Board, SCORE, Medora Foundation, Trails & Rides National Park Program, Lewis & Clark Foundation, International Visitors Council, Hostfest Board and longtime member of Augustana Lutheran Church until it closed due to the flood of 2011. Virgil became a member of Bread of Life Lutheran Church in Minot. Virgil is survived by: his daughter, Rhonda Rude, Chicago, IL; brother, Allen and Julie Rude, Watertown, SD; sister-in-law, Janice Swedberg, Fergus Falls, MN and numerous nieces, nephews and cousins. Virgil was preceded in death by his parents, Alfred and Viola Rude, wife, Geraldeen Rude, mother and father-in-law, Art and Gladys Haga and brothers-in-law, Art Haga Jr. and LeRoy Swedberg. Funeral service: 2:00 p.m. Friday, January 18, 2019 at Bread of Life Lutheran Church, Minot. Interment with Military Honors: Salem Lutheran Church Cemetery, located on Highway 43 East of Lake Metigoshe, in the Spring/Summer 2019. Visitation: Thursday, January 17, 2019, from 3:00 p.m. until 6:00 p.m. in Thomas Family Funeral Home, Minot. Memorials are preferred to the Salem Lutheran Church Cemetery. Thanks again for the response. I would truly love to see the stone arch cave near Bottineau. I plan to be home in July and would be grateful for any additional information that comes your way. Reply from Diane Larson Sjol (70): Minot, ND. Hi Everyone, It has been ages since I have posted anything. I admit that it has been very hectic so haven’t been keeping up with the daily blog. I was prompted by the photo of Gene Bender receiving a gift from our nursing department and had to comment. The Healthy Heart event was born out of an idea our nursing students had to “give back”. Our SNO (STudent Nurse Organization) at Dakota College at Bottineau did a great job educating the public about the importance of being “heart healthy”. Funds they raised at earlier events allowed them to present Gene with a monetary gift to offset his medical bills. It was great to see him…he is highly thought of on campus and missed very much. Just a note: We will be having a Richard family reunion this summer with a few events during the week, culminating in Nancy (Hosmer) Baldwin and Keith Kontzie’s wedding on July 17. There will be a dance at the Birchwood that evening open for all to help celebrate their event….more details will be coming later I am sure. For those of you relatives interested in attending our little reunion, please email me for details. Diane, With the Richard Family reunion coming, I am reposting the Richard family Matrix. Note: Dennis will be attending the Reunion. Lee, we’d love to see you too??? ?